London Bus Museum is operated by The London Bus Preservation Trust Ltd (‘the Trust’), an independent charitable trust (a Registered Charity) and a company limited by guarantee, not having a share capital. It is a not-for-profit organisation. The Trust is subject to company law (the Companies Acts) and charity law (the Charities Acts). 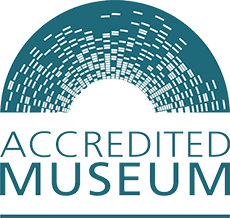 In addition, as an Accredited Museum (provisional), it must meet the UK Standard for Museums and Galleries as regulated by Arts Council England. Under the Trust’s constitutional documents, its principal purposes are to study, compile records on and restore, preserve and maintain buses, carriages and other items of road transport interest and to maintain or manage charitable museums for the purpose of the preservation or public exhibition of transport relics etc. It is also authorised to organise, sponsor and support displays, shows and events for the provision of information, education and interest in such vehicles. Any individual (over 18) or body corporate who/which supports the objects of the Trust shall be eligible for admission as a Member. The liability of each Member is limited to £1. All Members are entitled to attend the Trust’s Annual General Meeting (AGM) at which the directors provide their reports on the various activities for which they are responsible and at which the Trust’s accounts are presented for approval. The Trust is governed by a Council of Management (‘CoM’), the members of which are appointed directors of the company and, in practice, also perform the function of trustees. The members of the CoM may not receive any remuneration for their duties. The Secretary and Treasurer, if appointed and provided they act without remuneration, are ex-officio members of the CoM. The CoM may delegate specific powers to committees, subject to proper regulation and reporting requirements. One third of the CoM is required to retire from office each year at the AGM, those who have served longest being affected. Retiring members of the CoM may stand for re-election and any member of the Trust may also propose another member, with his/her agreement, for appointment to the CoM at the AGM. The CoM may itself recommend a member of the Trust for appointment and may also fill vacancies on the CoM at any time, subject to any such appointee being re-elected at the following AGM. In practice, the CoM exercises its judgement as to what executive functions are required for the effective running of the Trust , structures the responsibilities on the CoM accordingly and invites nominations from the membership of suitably qualified persons to fill each such position, subject to the afore-mentioned formal procedures being adhered to. The CoM must meet at least twice a year but, in practice, meets between six and ten times annually. Formal minutes are kept of each meeting and a synopsis of the minutes is conveyed to members of the Trust via the members’ publications. The Trust’s audited accounts are made available in summary form to all Members with the full version available on request. The accounts are publicly available from Companies House. Financial information is freely available to donors, grant-givers and major supporters. The trustees are conscious that the Trust’s current constitutional documents (the Memorandum and Articles of Association) date from 1995 when the organisation was effectively a society of bus owners and enthusiasts entrusted with the safe-keeping of a collection, and that the constitution is therefore neither up to date nor suitable for today’s organisation which runs a public museum and has the duty of long-term conservation of priceless artefacts for the wider public benefit as well as for its immediate supporters. To draft a new constitutional document which is up-to-date as well as fit for purpose and in accordance with best practice for a charity which is entrusted with the long-term conservation of part of our transport heritage. The reviewing committee will work with the Trust’s solicitor in producing proposals which will then be put before the Trust’s membership for discussion and approval.